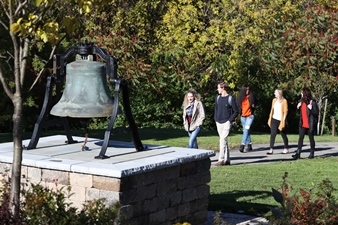 AMHERST, N.Y. – Daemen College is one of only 57 institutions from across the country selected by University Research and Review as a 2018-19 Best Value College, a national distinction that honors institutions that provide high quality education at an affordable cost. This is the second consecutive year Daemen has been named a Best Value College, placing it among other distinguished institutions such as Ashland University, Mount Aloysius College, Mercyhurst University, and Ohio Northern University. Daemen is one of only three colleges in New York State named to the newly released Best Value College list. Selection is based on the variety and quality of programs offered, student satisfaction with the institution, graduation rate, student debt, and cost to attend. Daemen was cited for its acclaimed programs in health, education, and natural sciences, including the college’s doctorate in physical therapy, master’s degree in special education, master of social work, and other high-quality programs. The college was also noted for its educational partnerships that grant advanced degrees in veterinary medicine, pharmacy, and medicine. The Best Value College honor is Daemen’s latest in a number of other recent recognitions the college has earned, including its advancement to the doctoral/professional universities classification in the Carnegie Classification of Institutions of Higher Education; selection as a College of Distinction and as one of the “50 Best Value Colleges and Universities in New York” by Best Value Schools; and ranked by Money magazine as one of the “Best Colleges in America” for educational quality, affordability, and alumni success.